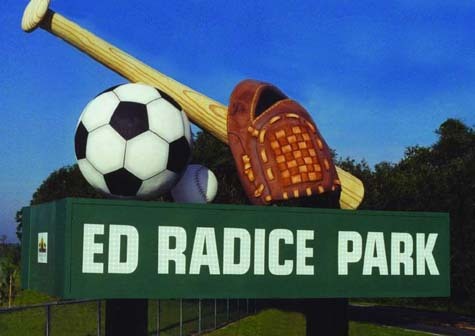 "This sculpture was commissioned by the Hillsborough County Public Arts Program for the new Ed Radice Sports Complex. My goal was to design a piece that was functional (signage themed to resemble a scoreboard) and aesthetic. The carved sports icons were appropriate as an entry marquee for the park."